Blaming violent media for mass shootings is a gross oversimplification. Last week, 17 people were killed at a Florida high school when a former student attacked them with a legally-purchased assault rifle. In the wake of this tragic event, like far too many before it, people have demanded changes in policies that could stop it from happening again. Instead, however, President Trump has blamed a popular scapegoat: video games. The president’s logic doesn’t echo what is found in the scientific literature. Studies conducted over the past few decades have not shown a decisive connection between violent video games and this kind of extreme behavior. In 2005, California attempted to ban the sale of video games to minors; the law was struck down by the Supreme Court six years later. 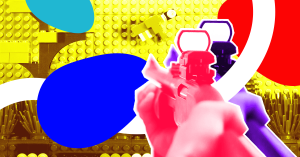 “California’s claim that ‘interactive’ video games present special problems, in that the player participates in the violent action on screen and determines its outcome, is unpersuasive,” the ruling read. The Supreme Court asserted that, like books, plays, and other forms of media, video games qualify for protection under the First Amendment. The decision also noted that psychological studies did not prove that exposure to violent games caused aggressive actions. A 2015 in-depth review study by the American Psychological Association (APA) concluded that violent video games do have an impact on aggression — but the APA noted that there was insufficient evidence to link this kind of exposure to criminal violence, delinquency, or physiological and neurological changes. The consensus is that aggressive or violent behavior tends to result from the accumulation of various risk factors. Violent media can contribute to those risk factors, but to claim that they are the root cause of behaviors like mass shootings is a major oversimplification. And there is still no evidence that violent video games cause children to purchase AR-15 assault rifles and shoot up their former high schools like it’s “Call of Duty” brought to life. What that means: lawmakers — President Trump included — have little to no idea about what causes gun violence or how to stop it. And politicians including Trump are hesitant to push for an intervention that actually works: curbing assault rifle sales. Trump and other politicians are unwilling to do this for fear of losing funding or support from the National Rifle Association (NRA), especially when his popularity numbers hover near an all-time low. If our representatives can’t pass legislation to curb these shootings, at least they could get out of the way of well-meaning researchers trying to better understand it. Bringing up the subject of video games time and time again does little more than distract and misinform the public.